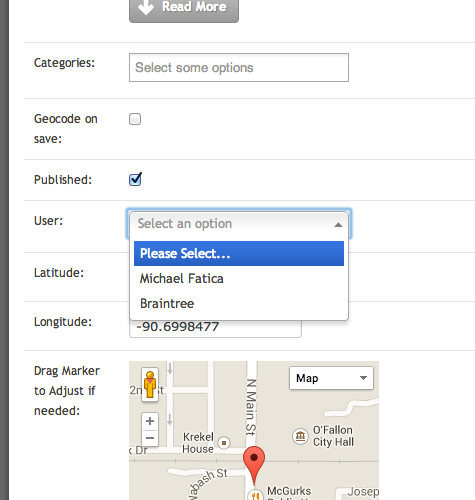 Delegate - Delegate users can access an assigned subset of data. They can also add and import new data. Data that is imported by a delegate user is accessible by that user and the account administrator. Sub Admin - Sub Admin users have access to all MetaLocator features, except those privy to the account owner, including Billing History, Billing Profile, Cancel Account, Upgrade Account. API - API users are also Delegates, but they can access the data via the API. To use the API with access to all data, simply use your administrative credentials with an API key from an API user configured in your account. 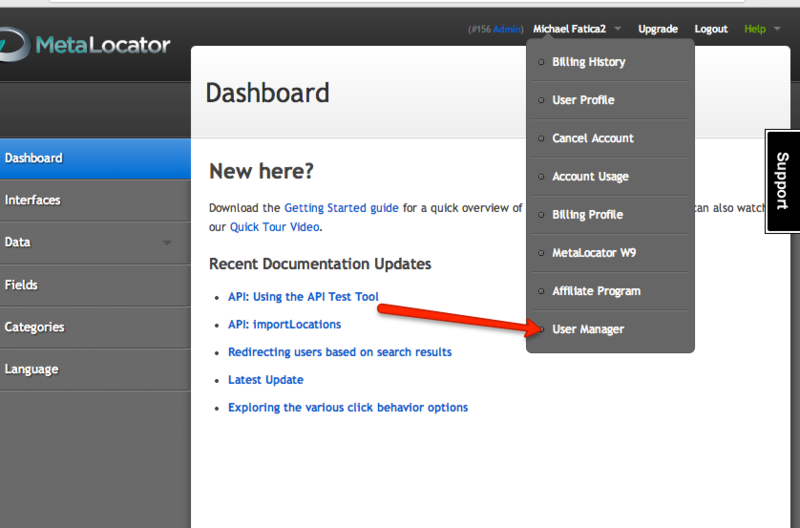 For more information regarding the API, see our API documentation. Analytics - Analytics users only have access to the Dashboard and Analytics tabs. Note: When a user is deleted, data ownership is transferred back to the account administrator. Delegate Users only have access to the data they import, add manually or as assigned to them by the account administrator. Administrators can assign data in two ways: first, administrators can manually assign a given record to a delegate, secondly, administrators can provide the user_id number for the record during import. To manually assign a record to a delegate, login as administrator, edit a location, and set the user as shown here: The Delegate chosen will then see that record listed under "All Data" and can manage all aspects of that record, including deletion and un-publish. To import records in bulk, and assign those records to a user, simply provide the User ID number, as indicated in the User Manager in the user_id column of the import spreadsheet. Delegate Users can only publish data on Interfaces designated by the account administrator. Each Interface has an option to allow data from a certain Delegate User. This option is currently under "Advanced", as shown here: This will allow records created by "fatica2121" to appear under this Interface, in addition to any records created by the account administrator. The data provided by the Delegate must, of course, still match the other criteria required to present data on this Interface, such as Country, Category or Language.